I have mellowed and calmed down a bit since yesterday. Yesterday I had started to write a piece in which i felt angry and frustrated, and it was passionate and raw, probably too raw, as i was frustrated and angry about the tens of thousands of young people the church has opportunities to work with, but doesnt, and then doesnt create the right environment for discipleship for those it does. I was frustrated that young people had been systematically let down an forgotten by the church, when churches themselves had opportunities to do otherwise. Does it matter which young people the church works with? I was once told ‘Sometimes we cant choose which young people God sends us‘ , but theres a reality that the church has chosen to ignore some young people more than others. But should it matter? In a church that has finite resources is it better not to just ‘do something’ with the young people whom are known, than do nothing at all? Yes of course. But in a way then, this is not directed at the local church and its finite volunteers, though it could be. It is to those who put young people in the strategy document, the vision statement and the deanery/diocese plan. The problem with a strategy in which young people are measured, then young people are treated all the same. Despite the different approaches, needs, and energy required for them. Having young people in a church becomes a race for the easiest. Having photos of large gatherings of young people to justify a ministry becomes a race to be the most attractive, well promoted, publicised event, that will gather young people, but which ones? But again, I am prompted- does it matter which ones? But does it matter which young people the church devotes its energy to working to? Maybe it doesnt, but maybe it also does. Maybe it should pull on our compassion strings more about young people in and out of care, young people trafficked, young people being the victims of crime, young people running county lines in the drug trade, young people victimised in the media, young carers. Maybe it should just tug on our civil society altruism, that young people who might be on the streets in our local neighbourhoods, outside the shops, the park and beaches might also be part of the same group of young people who ‘God is sending to us’ as they are being raised in public consciousness through local news and conversation. It may be that the institution problem of young people is the one that causes the heart stings to flutter the most. The future of the church depends on what we do with these young people, and keeping them – rather than any other young people. There have been three things that have influence the way of working with young people in the UK since in the 1800’s, first came the need, second the word, third the statistic. Churches working with young people as a specific group emerged out of needs. Needs for the church to educate its young people specifically, and needs being felt in society caused by the urban young people terrorising the status quo, being undernourished, unfed and ‘sewer rats’. What is documented is that a few churches, people got on and did something (what isnt documented is that 1000’s didnt) , started Sunday schools, and other provision, which others soon copied. Someone had to take the initiative. But its was needs that drove the practice. 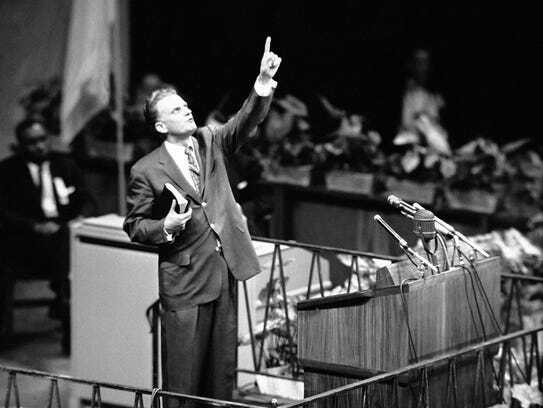 Then in the 1950’s it was the word of God, sorry Billy Graham, that began an influence of youth ministry that continues to shape practice, and the church in the UK today. The implicit influence of the large gathering an rally, and the simplified message that garnered a mass appeal, and put success equating to numbers at the gathering as a way of measuring it. But the word spoken was that the church in the UK was devoid of young people. There was no sense of which young people, but in a context of moral fears starting to emerge of post-war frivolity of lifestyles (The Beatles, mainly) , counter cultural youth ministry was born. To create an energy about the alternative, and leaders of it stayed within. Then became the statistic. Peter Brieleys research in the early 1980’s that over 300 young people had left the church every week since in the 1960s caused a clambering of action. Youth ministry went pro. Youth ministry went theologised. Youth Ministry became even more about fixing the leak, plugging the dam. Regardless of anything else, this statistic spurred youth ministry into a new form of life. But what it also did, was shift the conversation even further from ‘what kind of young people’ to ‘we need to keep the ones we have and employ youthworkers to do it creatively’. Barely a stop to think about which young people might matter. And how much do all three, or something else be the driver of youth ministry today. What if its young people knocking at the door- should our predominant cue be the immediate and local context – not the institution? Back to the need of the person? Barely a stop to think about which young people might matter to God? It would be easy to say ‘all of them’ but that deems that the vulnerable are often the easiest to ignore. In this post last year I suggested that ignoring the poorest young people has been done for years. Whilst ‘all children’ should come to Jesus, there are as many pleas to connect with the least, weakest, widowed and fatherless that permeate through scripture as a prompt, and provoking passionate prompt, a provoking stick of conscience towards those who are mistreated, oppressed and victims in society. And whilst all young people are victims in society through generation brush spreading, there are some clearly who have been and continue to be more abused by the system and society than others. It is not our fault we’re poor – ran a recent BBC piece its is also not many young peoples fault that their only experience of the christian faith is through its derision on the TV, a christmas service at the local primary school and an assembly. It is not their fault. Only Jesus had the large gatherings, he told the disciples to work in pairs, and go and find accepting people in every village. Its what the disciples did an how the church grew, from a few, to small groups and continued. That method worked for the disciples, its what we might use on the streets, and in the public spaces. Go and be vulnerable in a new place and find people willing to accept. Go to the people and be the message. Does it actually matter which young people the church works with – wont any young person do? If we’re as passionate about Jesus and being his followers, then we’ll be out in the margins, pushing boundaries and investing our lives, our wares in the poorest. We might need to come clean and say that data and word has a greater hold on youth ministry than need, or for that matter theology. Its been the call since the 1980’s, but if our youth ministry really was theological – what would it look like? Evangelical youth ministry might actually mean following the call of Jesus to the margins and working like he did. Couldnt be more evangelical. If the church has the opportunity to work with young people who are being sent to it, children whose families go to the food bank, young people on the streets, young people waiting for mental health appointments, and the rest, young people for whom it is not their fault. Young people raging against their poverty, against the system. If only the church could harness a piece of this action. So, a question for this week; does it matter which young people the church works with? for some churches it is ‘any young person will do’ but mainly the ones the church decides it needs to keep. For others, dont ignore those playing football in the church car park (or worse still tell them to go away), or those on the park benches. View them as a opportunity, a provoking call to have your heart strings moved. Various pages on the emergence of Sunday Schools, Ragged schools on the http://www.infed.org site.